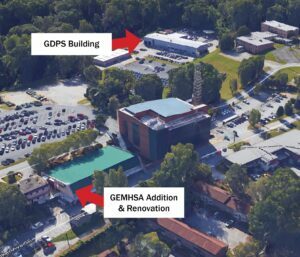 NOVA Kennesaw is ramping up to provide construction materials testing, special inspections, and building envelope services for a recent award, the Georgia Emergency Management and Homeland Security Agency (GEMHSA) Expansion and Renovation and the Georgia Department of Public Safety (GDPS) Service Building. Kennesaw previously provided design development recommendations for foundations on this site. Congrats team!